Govind greenhouse pvt ltd is a well-known Supplier of huge assortment of precision engineered Curved Polycarbonate, Ginegar Plastic Products, High Value Ornamental Plant, Silver Hydrogen Peroxide, Tissue Culture Plant and . These are made using the latest construction and agricultural technology in order to ensure their high quality. Conditions, like humidity, soil media, disease control, temperature, light intensity ventilation and photo period are considered during their manufacturing. Our offered range is known for flexibility, durability and user-friendliness. We are also a notable Service Provider of Nethouse Services and Greenhouse Construction Services. We are engaged in proper fabrication and installation. 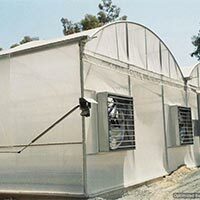 Utmost protection to the crops is ensured with these nethouses and greenhouses. Owing to our excellence, the company has been accredited with the international quality standard certifications and credentials. 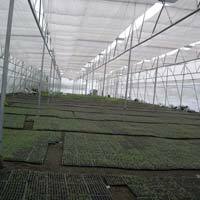 Govind Greenhouse Construction is a Pune (Maharashtra) based company that was commenced in 2009. It is witnessing huge success with the capable guidance of company’s Owner- Mr. U. B. Gadekar. Our sister concern companies are Geeta Agro Foods, Hitech krushi Centre, Geeta Agro Biotech and Rainbow Agrotech. Our state-of-the-art infrastructure is spread across vast land area of 2.5 acres. It is well-equipped with various units, like manufacturing unit, quality control, research & development, warehousing and packaging department. All the facilities are available at our premises that results in smooth functioning of business activities.